The 8th Annual Let’s Get Moving Kids will take place Sunday, October 7th, 2018 in the morning. Race Day is Sunday, October 7th, 2018. Click here to read about the course, location, dates, time and who will be in attendance! Sponsor this event for incredible branding opportunities and to make a difference. Together we can spread your message and make a difference in our community. Start/Finish: Cranes Roost Park at Uptown Altamonte, 274 Cranes Roost Blvd. in Altamonte Springs (Open address in Google Maps). 7:30 AM on event day. Includes race bib & t-shirt (if applicable). FREE Race bib, finisher medallion, & goody bag. FREE t-shirts for Early Bird registrants. T-shirts not guaranteed on event day registration. Refreshments and healthy snacks will be provided. Want to make your school a healthy school? Participate and raise money for your school. Contact Shirley at 407-592-4808. Net profits will benefit children in our community by providing them with programs that promote healthy lifestyles (gardening, cooking classes, sports camps, and CPR classes). Use the hashtag #LetsGetMovingKids on all of your race-related photos and posts on Facebook, Twitter and Instagram. Thank you! Enjoy a health fair, massage, face painting, bounce house, music and much more! Registration available at the event site Sunday, Oct. 7 starting at 7:30 am. Sunday, October 7, 2018 at Cranes Roost Park, 274 Cranes Roost Blvd. in Altamonte Springs, Florida. VIP opportunities available for the event. Please read more about sponsoring this event. 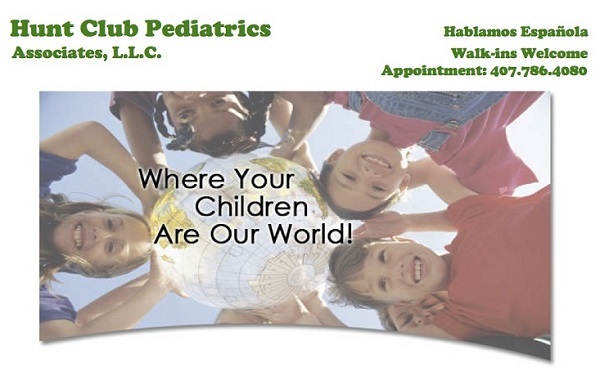 Your donation will not only help promote health and well-being among children and community, but will also provide valuable exposure and advertising for your organization. We appreciate your support. Vendors, gain exposure for your business to host a booth and distribute product samples, provide services, or distribute printed materials. In order to process your registration as a vendor, please fill our vendor form. Lets Get Moving Kids © 2018. All Rights Reserved.